In the shade of a barn in the center of Costa Layman Nurseries, farm workers duck in and out of a makeshift dental clinic where rolling carts of plants form walls that lend a little privacy while dental students work. The Costa Layman Health Fair, in its ninth year, offers free screenings to more than 300 employees at the Trenton, South Carolina farm, one of the country’s largest perennial farms. 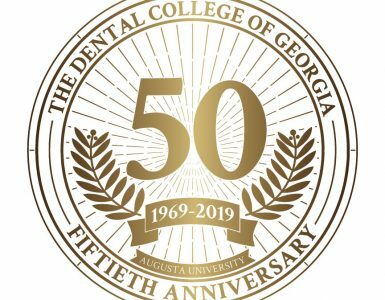 The fair is sponsored by the Georgia Regents University College of Nursing but draws students from the Colleges of Dental Medicine, Allied Health Sciences, and Medical College of Georgia. 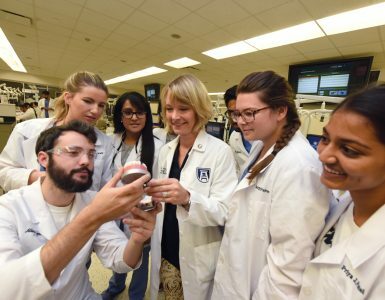 While workers’ vision, weight, blood pressure, and other health measurements are assessed, the dental screenings are often the most revealing for employees and students alike, says Dr. Carole Hanes, College of Dental Medicine Associate Dean for Students, Admissions, and Alumni. 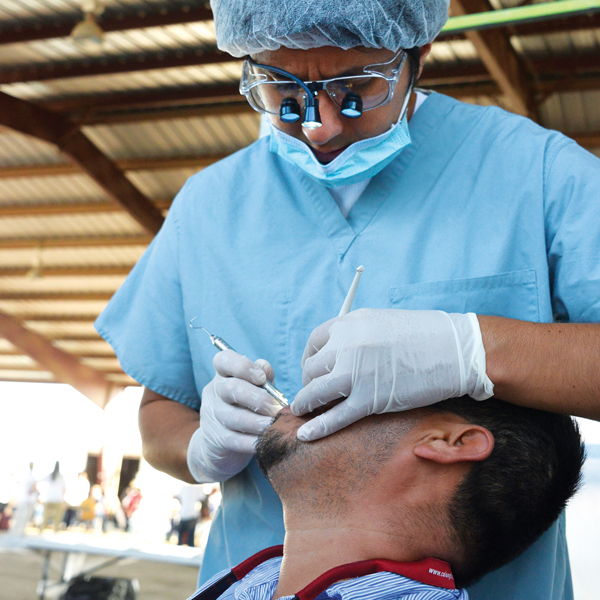 A full 90 percent of employees screened at the Costa Layman Health Fair require referrals for dental care. “It’s a learning experience that is unparalleled for the students. They learn so much in four hours,” Hanes said. “It’s eye-opening for them.” Adriana Castiblanco, a senior dental student and last year’s Hispanic Student Dental Association President, was born in Bogota, Colombia. In her second year volunteering at the health fair, she helped as a translator, provided oral hygiene instructions, screened for oral cancer, and measured probing depths, gingival inflammation, and caries. Students and their translators begin by providing oral hygiene instructions, followed by a dental exam. Patients move to a second station to have their pocket depths, gingival inflammation, and periodontal condition recorded. Before leaving for other screenings, farm workers are given toothpaste, floss, and brushes, along with brochures in English and Spanish. Karolina Grochowska, a senior dental student at GRU, was part of the group that screened for periodontal disease. “This was my second time volunteering with the Costa Layman Health Fair. I initially became involved because of my interest in providing health care to the Hispanic community,” says Grochowska, treasurer of the GRU HSDA. She regularly volunteers with events serving the Hispanic community, but was still surprised to see the local Hispanic community’s lack of access to care. “There aren’t enough clinics in the area for low-income patients,” she says. The health fair is one attempt to help bridge the gap, said Debbie Layman, Manager of Costa Layman Farms and a GRU College of Nursing alumna. Natasha Diaz-Vidal, a senior dental student, has volunteered with the health fair for three years. 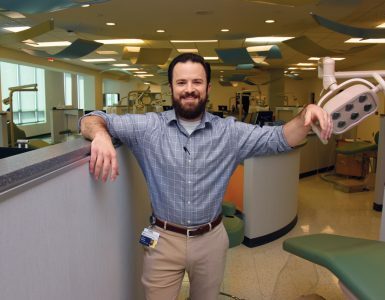 She’s one of several students fluent in Spanish, which, thankfully, she says, has enabled her to address the dental needs of many non- English speaking patients as well as their children. The language barrier, in addition to a lack of information, embarrassment about poor oral health, or a fear of the dentist can complicate the screening. Many patients are initially apprehensive. 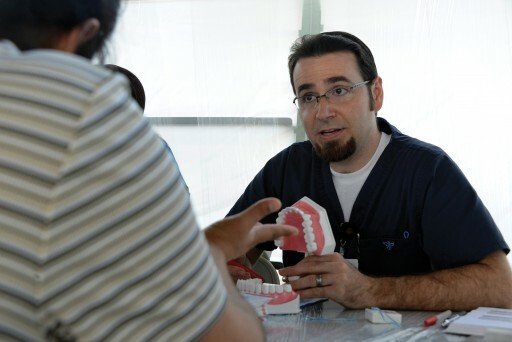 The experience, Diaz-Vidal says, forces dental students out of their comfort zones.